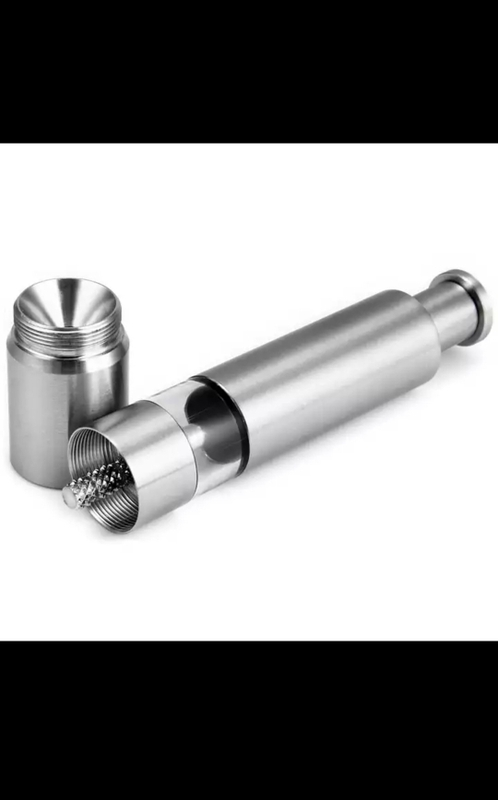 – Innovative pepper mill dispenses spice with speed and ease. – Press the top to grind pepper in a simple, one-handed operation way. – Screw off the bottom for refilling. – Suitable for milling pepper, corn, mustard seed and other small sized spices. – Ideal gadget to make freshly ground pepper powder spice for enjoying a tasty salad or steak. – Material: Stainless steel + acrylic + ceramic core. Works great as described. Slow to ship by dhl during Canada post strike.